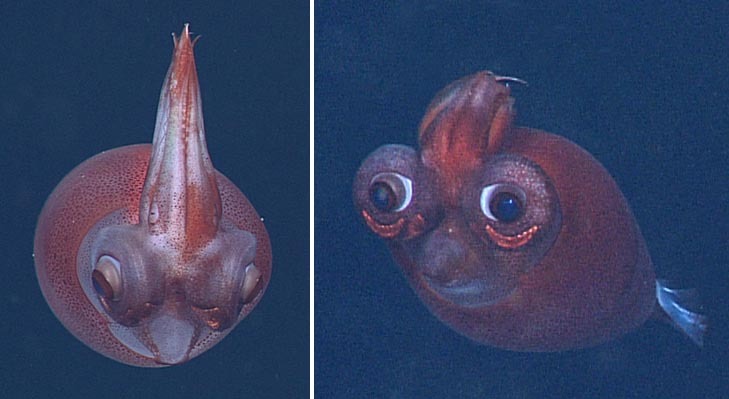 God I love deep-sea creatures. This cartoony-looking squid is Taonius borealis. It kind of looks like what would happen if E.T. had a baby with a squid… with just a dash of owl thrown in for good measure. Oh and Wall-e, I see him in there, too! What do you think? 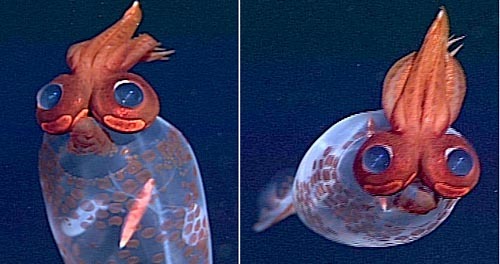 These bizarre deep-sea squid only grow up to 50 cm in length but even something so tiny has room for unique adaptations. Its large eyes normally sit facing frontwards, but as you can see from the last photo it is able to switch them to see out laterally instead (those photos were only taken a few seconds apart). You might notice that it swims with its tentacles above its head as well. I guess it’s just into the Snooki pompadour-style look. Hey, you can’t really stay up to date on the latest hair trends if you live at the bottom of the sea, now can you? 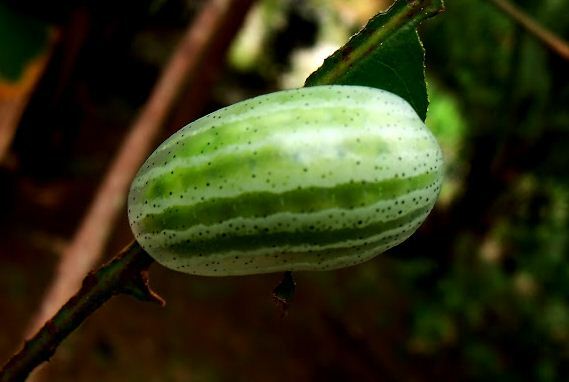 Ever Seen a Caterpillar That Looks Like a Watermelon… Down by the Bay? 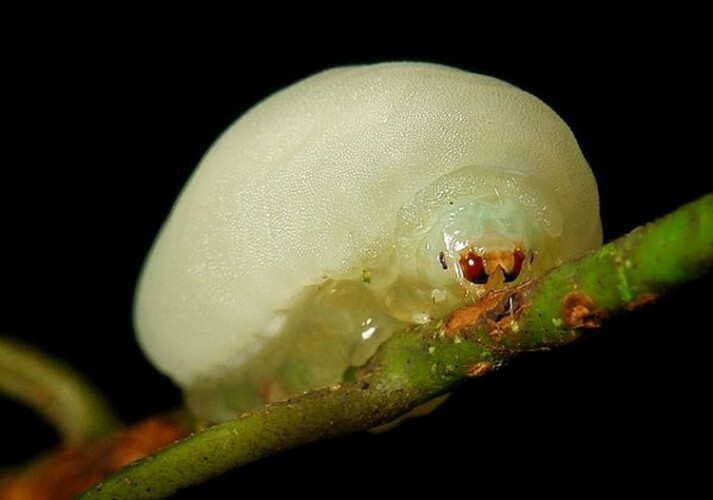 I Don’t Think You’re Ready For This Jelly: Gelatin Slug Caterpillar!